Concealed soft-close door hinges. Counter options include Green Glass, White Man-Made Stone. Backsplash not available. Available with Porcelain, Granite, and Marble vessel square sink(s). Single-hole faucet mount. Faucet(s) not included. Medicine Cabinet Set Included. Metal exterior hardware with brushed chrome finish. Two (2) functional doors. Four (4) functional drawers. Plenty of storage space. Plenty of counter space. Includes drain assemblies and P-traps for easy assembly. 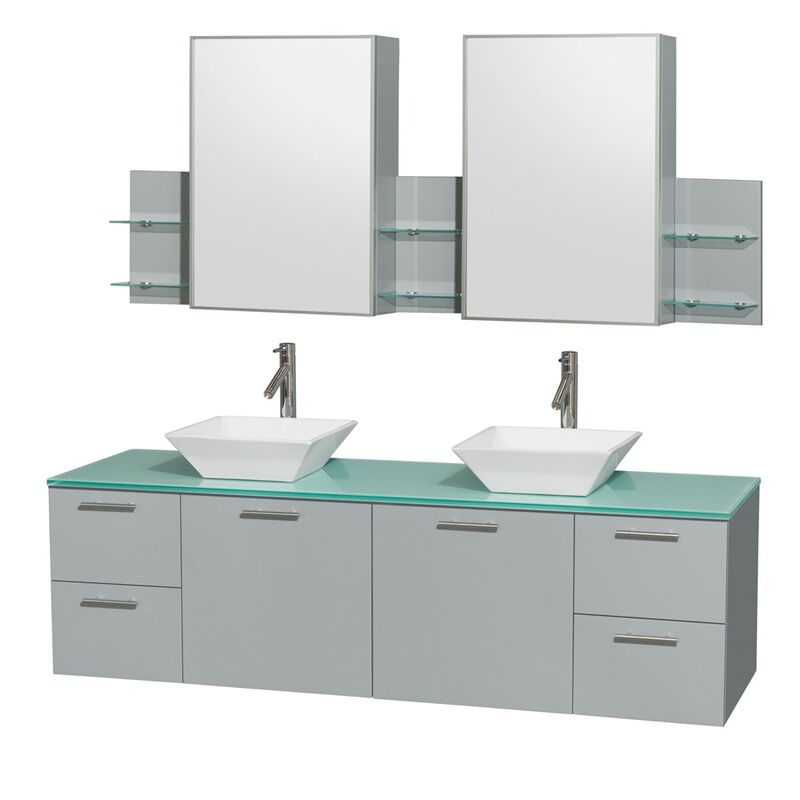 Dimensions - Vanity: 72" x 22.25" x 21.25"; Mirror: 17.75" x 6" x 30"